Over the past five years, Syria has endured a civil war of terrible brutality and human suffering. It is partly a sectarian conflict, fueled by outside European, U.S., and Russian powers, all vying for influence in the region. Also in the mix are the intervention of regional powers, such as Iran and their allies Hezbollah, on behalf of the Assad regime. Saudi Arabia and Turkey act on behalf of predominantly Sunni rebel factions. The Syrian war, its spill over into neighboring Iraq and the inability of the U.S. to reign in its allies in Turkey and Saudi Arabia, illustrate the growing weakening of U.S. imperialism. The so-called “moderate” rebels backed by U.S. imperialism have failed to gain traction. Soon after the war’s beginning, the Al-Qaeda affiliate, Jabhat Al-Nusra and IS gained footholds in Syria and Iraq. The narrative of the Assad regime’s imminent collapse bore no fruit. Russia’s direct military intervention has gone a long way into propping up the regime and solidifying the Syrian Army’s position, giving the Assad regime a new lease on life. This has given rise to the possibility of Assad remaining in power, in some form, in whatever new order emerges. Some continue to praise the so-called “secularist” nature of Assad’s rule. But Assad continued the tactics of French imperialism before him, of “divide and rule,” playing the religious minorities, on which he bases his rule, off against the Sunni majority. Nothing portrays the brutality of the war as much as the current offensive by the Assad regime against rebel forces in east Aleppo. As it stands, the regime has the military advantage of the Russian air force to supplement its own aerial attacks. This has seen the bombing of schools, hospitals and other civilian targets to weaken the morale of the defenders. According to the UN, nearly 400 civilians were killed in Assad’s September offensive. 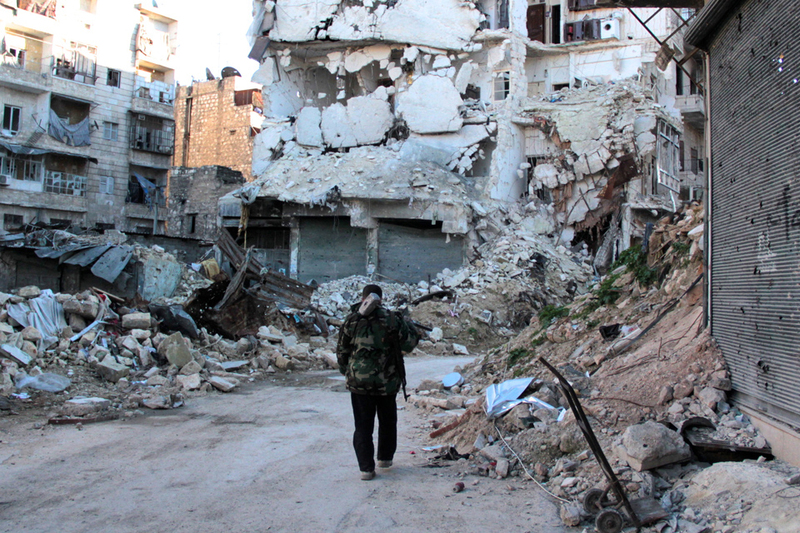 The rebel counter-offensive to relieve besieged forces in the east of the city has largely ground to a halt. It is expected that a serious blow will be struck against the rebels, though this would not be the first time such predictions have been made and not borne out by events.